We Want to Make Things Easier for You. 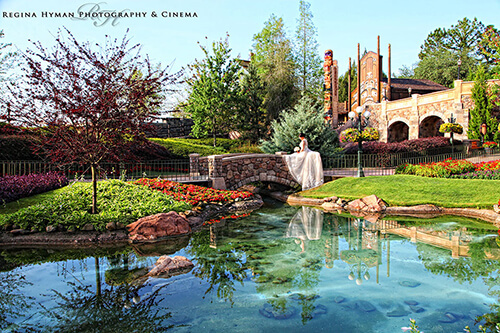 Orlando, Florida area is bursting with wedding locations! You can choose wedding locations such as churches, beautiful parks, hotels and country clubs. Many of these wedding venues are also well suited to accommodate receptions. Is the wedding officiant ordained through seminary training or through an online course? If having an ‘ordained wedding minister’ is important, then very important to verify the wedding officiants’ ordination. Many people who present themselves as authentic ordained wedding officiants when actually they purchased their ordination on the internet. True ordination is a ‘Calling from God’. It is a ‘sacred office’ and it was never meant to be bought on the internet as a business license!! ‘Online ordination’ cheapens both the office and the role of ministry. It also cheats the wedding couple who think that they are paying for an ordained wedding officiant but don’t really get one.How do can you tell if the wedding minister has an internet ordination? Some wedding officiants won’t openly admit it, so ask them about their church ministry. Do they use their ordination in other ways to serve others (or just to do weddings)? What churches have they served? What denomination ordained them?It’s all too common for people to get online ordination and then call themselves a wedding officiant. Several states house stopped acknowledging ‘online ordination’. Tennessee is the most recent. The Florida Statutes 741.07 state: That all ordained ministers authorized to solemnize marriages are to be ‘in communion with some church’. Florida and many other states are realizing that the ‘internet’ is not fulfilling the requirements of a valid Church-therefore the ordination is invalid. The institutional Churches (Methodist, Presbyterians, Episcopal, Catholic, etc.) are joining forces and petitioning to the states stop acknowledging the counterfeit ordinations.Online ordination should not be used as a business license to become a wedding minister. A better alternative is to become a notary or a justice of the peace. A justice of the peace can perform weddings without portraying a false image of ordination. Justice of the peace weddings do not have to be a nonreligious or civil as many provide faith based ceremonies. Becoming a justice of the peace is easy and can be done online as well.All of the wedding officiants with A Beautiful Ceremony are fully ordained in mainline institutional churches except Teresa. Teresa is a wedding officiant but performs weddings as a notary and a justice of the peace. If you want a non-religious wedding ceremony then all of our wedding officiants are able to accommodate you. It does not have to be a justice of the peace to perform a nonreligious wedding ceremony. Why does the wedding officiant or justice of the peace perform weddings? The purpose of this question is to make you aware of the wedding officiants’ motives and spirit. Are the wedding officiant performing weddings to just make money or do they have a real love for what they do? Your wedding minister should have a genuine passion for weddings and not just see you another $$.All of the wedding ministers with A Beautiful Ceremony work full time in Christian ministry. For us, being a wedding officiant is a means of serving people. Does your wedding officiant or justice of the peace have a ‘back-up’ in case there’s an emergency? Things happen unexpectedly and wedding officiants should have a good emergency backup plan.AT ‘A Beautiful Ceremony’ we have a staff of five wedding officiants and one Justice of the peace. In the rare chance one of our wedding officiants is not available we know of other wedding ministers and justice of the peace officiants that we can recommend. Our team of weddings officiants is usually the first one called when another wedding officiant is unable to perform their task. What do the other vendors say about the wedding minister or justice of the peace? Wedding professionals know a lot about each other and know what wedding officiants have the best and worst reputation. 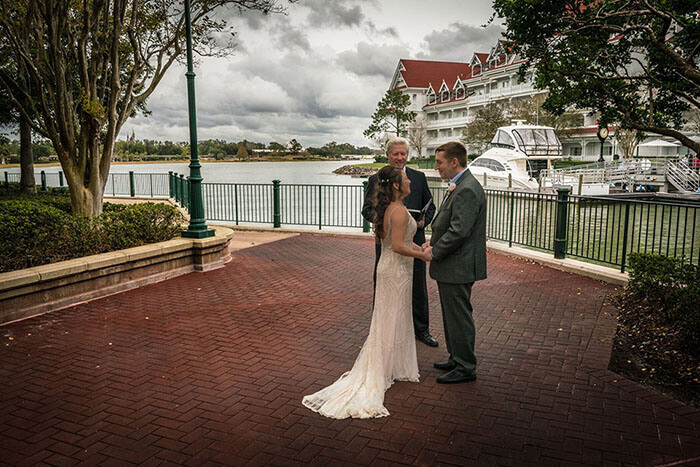 Feel free to ask your vendors for recommendations on what wedding officiant they would use if they were getting married.A Beautiful Ceremony is the most recommended team of wedding officiants in Orlando. We have built our reputation as marriage officiants on dependability, stage presence, customer service and flexibility at competitive price. Wedding minister Rev. 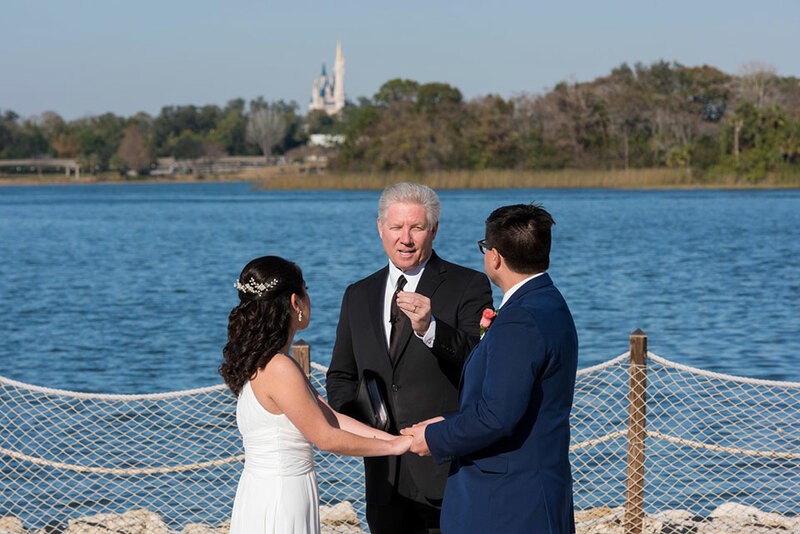 Kevin is often the wedding officiant of choice when Disney or other venues are conducting a VIP wedding. What time will the wedding officiant show up before the ceremony? Arriving at least 30 minutes before ceremony time is a standard protocol for most marriage officiants. Some wedding ministers do not fulfill their promise to arrive within the given time frame. You don’t want the stress of wondering if your wedding officiant will be on time.At A Beautiful Ceremony we are so confident that your marriage officiant will be on time that we offer a money back guarantee. We are the only team of wedding officiants that provide this guarantee. What kind of training does the wedding officiant have? The best wedding officiants follow the protocol dictated by the Association of Bridal Consultants. There’s a definite procedure and etiquette involved in weddings. If the marriage officiant doesn’t know proper ceremony flow and line up of attendants then it can easily disrupt the timing with the DJ, photographer and even the caterer! 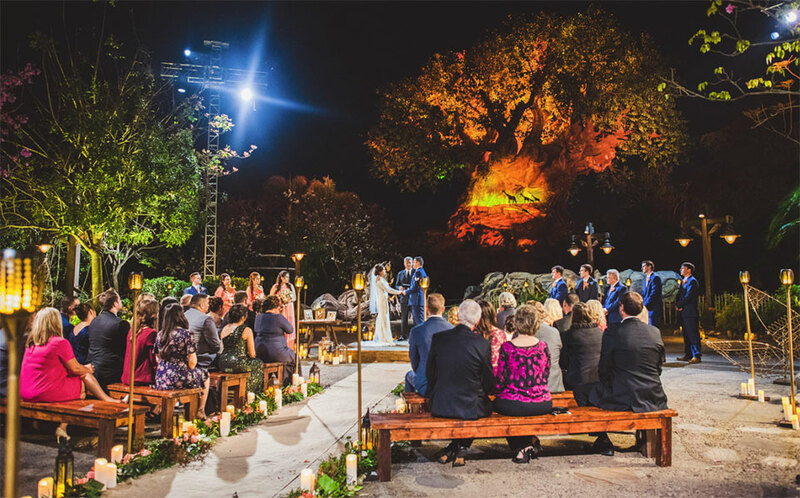 The ceremony protocol helps all the professionals work together by following the same designed game plan.All of the A Beautiful Ceremony wedding officiants are trained according to the Association of Bridal Consultants protocol. Our wedding ministers are experts in conducting organized rehearsals and wedding ceremonies. Is the marriage officiant or justice of the peace a member of any professional wedding organizations? There are two very important organizations for wedding professionals. One group is the Wedding Professionals of Central Florida (WPCF). They will not allow any wedding ministers to be members of the organization if he/she has a history of poor business practices. WPCF is like the BBB of the wedding industry. 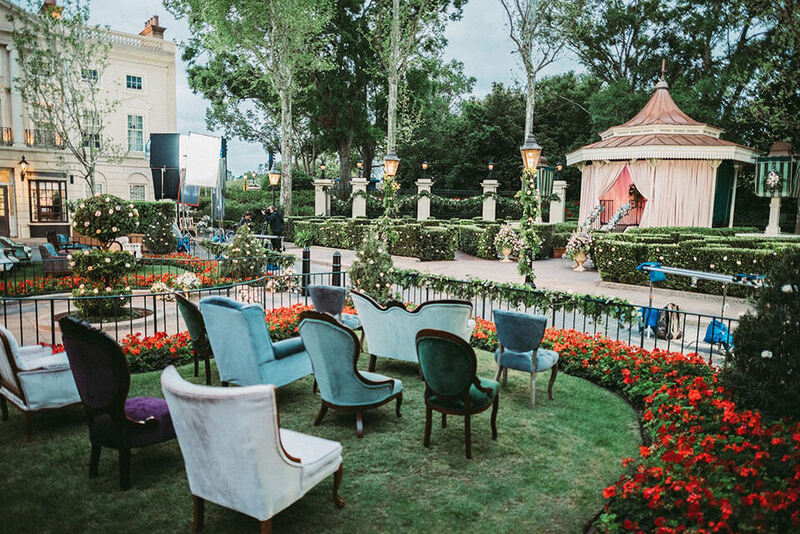 The membership in the Orlando Wedding Group is by invitation only. The invitation is only offered to those who have an impeccable reputation.A Beautiful Ceremony was voted ‘Member of the Year’ by WPCF. 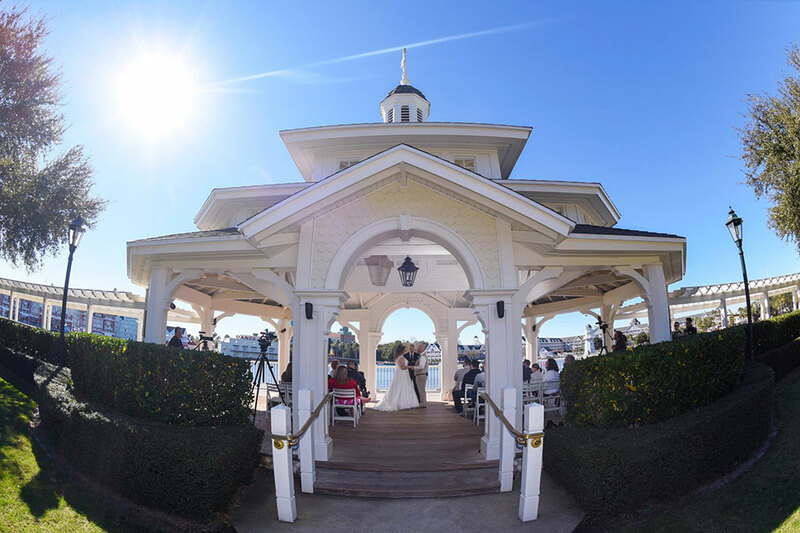 The wedding officiants of a Beautiful Ceremony is also a member of Orlando Wedding Group, the Orlando Wedding Professionals, and the Advisory Board for Certified Wedding Professionals. Does the marriage officiant offer a free consultation? Will the wedding minister take the time to meet with you? How will you know if the wedding minister is a good fit for what you want? Hire a wedding officiant that you will feel comfortable being around. Your wedding day is stressful enough without questioning the ability of the marriage officiant to perform.At ‘A Beautiful Ceremony’ all of the wedding officiants offers a free consultation as well as phone interviews. A phone consultation with your wedding minister will help you review your ceremony options and flow of the ceremony. What does the wedding officiant offer regarding the ceremony content and planning? Is the marriage officiant able to accommodate your needs for inter-faith traditions, Catholic touches, blended families, allowing you to write your own vows, etc? Does the wedding minister or justice of the peace offer a wide variety of options? Is the wedding minister flexible enough to give you a unique and personal wedding?At A Beautiful Ceremony, our wedding officiants offer a unique ‘Ceremony Planning Kit’. It offers a variety of ceremonies, readings, vows, acts of celebration, etc. By picking what you like the ceremony becomes uniquely your own. (This must be a great kit as it has been plagiarized by at many other wedding officiants – imitation is the highest form of flattery After you pick your ceremony options your marriage officiant will be glad to review the ceremony order with you. Does the wedding minister have a great ‘stage presence’? Great stage presence among wedding ministers is not at common as you might think. Some wedding officiants come across as nervous, unorganized, and frazzled. Some wedding ministers just read the ceremony out of their book. That’s not what you want to see when you look at your wedding pictures and video. The wedding ceremony can’t be repeated. Your marriage officiant is the guardian of the ceremony. 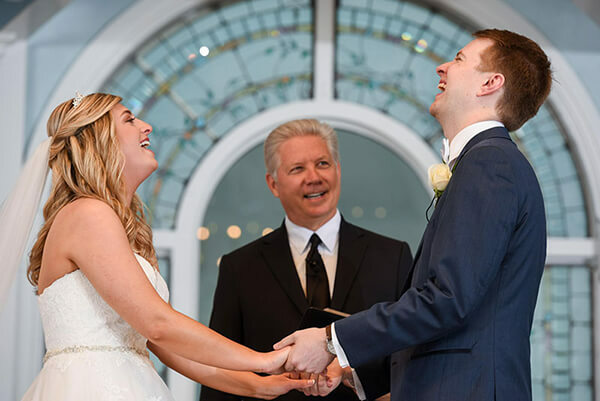 Your wedding officiant should be confident, secure, and poised and make the words come alive.At A Beautiful Ceremony we train out wedding ministers for perfect stage presence! Our wedding officiants study ourselves on video and strive to be the very best in delivery. As wedding ministers know our ceremony material by heart and delivery it with warmth and with good eye contact. As professional wedding ministers we believe that it’s not just ‘what’ you say but ‘how’ you say it that makes a difference. Our teams of wedding officiants have the highest standards in training and stage presence. Will the wedding officiant respect your individual religious/spiritual and cultural beliefs? Weddings often bring together people of all different backgrounds, ethnicities, and socio-economic levels. It is paramount that your wedding minister be able to cater to your needs and know what not to say do as to emboss anybody. Your individual religious and cultural preferences are most importantAt A Beautiful Ceremony all of the marriage officiants are trained chaplains and are accustomed to working with people from different faiths, cultures and traditions. Our wedding ministers respect people’s personal beliefs without trying to impose ours on them. A wedding officiants’ contract or promises are of little value if they don’t have a guarantee to back it up.A Beautiful Ceremony is the only group of wedding officiants that offers a full and complete money back guarantee. With A Beautiful Ceremony if we do anything to compromise the wedding ceremony the wedding officiant will offer a full and complete refund! How are your marriage officiants different from other from other wedding minsters and wedding officiants? Sadly, many marriage officiants think they know what is right or wrong and best for a couple. Our wedding ministers want their couple to have the best wedding ceremony possible. We believe that only a couple can really know what is a good fit regarding their ceremony content – that’s why we provide both the wedding minister and couple with the ceremony planning kit. Is the denominational faith of your wedding officiant important? The denominational faith of your wedding officiant is not likely to be obvious. We have wedding ministers and wedding officiants who do civil non-religious wedding ceremonies. We also have a justice of the peace who specializes in non-religious wedding ceremonies only. You can decide if you want your marriage officiant to wear a minister’s robe or a suit. The denominational faith of you wedding officiant or minister will not be obvious to you guest. What’s the bottom line if we use one of your Wedding Officiants? Freedom and flexibility. All of our wedding ministers and wedding officiates are unique in their style and spirit. Our wedding Officiants with are couple-oriented, not clergy oriented. The marriage officiants job and ministry is to interact with a couple in such a way as to provide a ceremony that fits their style and taste. We are a like-minded group of professional wedding officiants who take this concept seriously. We enjoy being wedding officiants and it shows in our customer service. What does ‘Wedding Officiant’ actually mean? Here’s my wedding officiant and wedding minister definition. The word “wedding officiant” is a catch-all wedding marriage industry word for anyone legally-able to officiate a wedding marriage ceremony. This includes any marriage clergy, any wedding minister, wedding pastors, officiates, officials, reverends, any civil non-religious ceremony officiant including minister officiants, justice of the peace, i.e, no wedding officiants or wedding ministers who can “legally” officiate a wedding marriage would be excluded from this definition. A wedding Officiant By Any Other Name: Wedding Minister, marriage ministers and civil officiants are known by many names: minister, officiant, official, pastor, officiate, officiator, wedding officiant, justice of the peace, wedding minister, wedding official, wedding pastor, marriage officiant, marriage minister, ceremony officiant, non-religious officiant, ceremony minister, marriage official, wedding clergy, rabbi, priest, civil officiant, notary.